Our goal is to connect people with the best local experts. 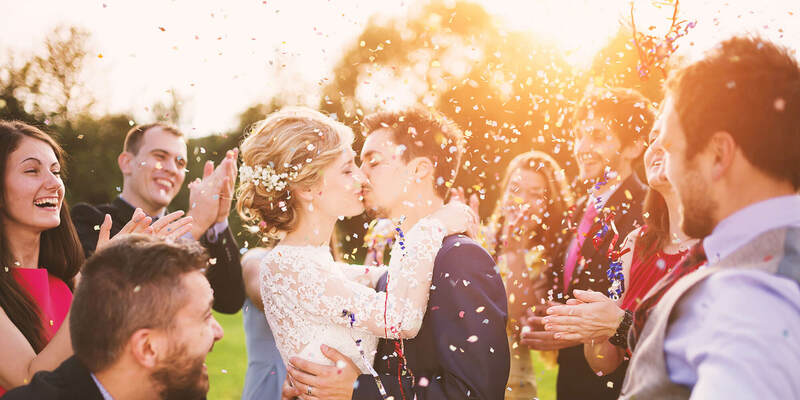 We scored wedding photographers on more than 25 variables across five categories, and analysed the results to give you a hand-picked list of the best wedding photographers in Elgin, IL. Adam Tarniowy Photography serves Chigaco and the surrounding areas in Illinois, providing professional photography services. Adam Tarniowy is the owner and primary photographer at Adam Tarniowy Photography, and he specializes in on-location photography, finding places where his clients are most comfortable to conduct his photoshoots. He uses the unique features of the setting to get a variety of photographs. Adam offers group, individual, and high-school senior portraits as well as engagement, wedding, and newborn photography. Clients speak highly of Adam's quick turnaround time, professionalism, and affordability. They were particularly pleased with his talent and creativity as a photographer. Bobbi Rose Photography, located inside Shelley's Bridal in West Dundee, Illinois, has been providing wedding photography services for Rockford and the greater Chicago metropolitan area for over five years. She also operates Kangaroo Photography for family and children's portraits and Rock Star Foto for concerts and other events. She uses a signature photojournalistic style to tell a story as it naturally unfolds and captures the raw emotion of each special event in a personalized and artistic manner. Bobbi provides complete portrait retouching services, lab prints, custom framing and album making, and a customized online gallery for each client. Prom services are also available, as well as Empower sessions, dedicated to female empowerment. Customers praise Bobbi's creative talent, dedication, and competitive pricing. The 2017 Couples’ Choice Award winners, Mark and Laura Humpa, of Cornerstone Photography have a tag team approach to ensuring clients of wedding or portrait events that their images will have a timeless quality. With combined expertise in sports, fashion, and photojournalism, this tireless duo can record a wide platform of events with extensive knowledge in various image techniques. Sponsoring many charities, Cornerstone Photography proudly supports the concept of community and is passionate about giving back to clients by devoting special, honest attention to their events. By guaranteeing strong attention to detail in their work, the duo displays obvious loyalty to their clients which in turn build long relationships with them for many years to come. First Look Productions is a wedding photography business founded in 2012 that serves the Chicagoland area of Illinois. The team has years of photography and video experience and utilizes the industry's most advanced equipment and technologies. First Look Productions pays attention to the details of every wedding by viewing the location a few weeks before the wedding date to plan for the best shots. The team also reviews the wedding schedule and spends time with the bride, groom, and parents to learn about what the family values. First Look Productions offers four different pricing options for both photography and videography packages. There are also add-on options for prints and supplemental video. Custom packages can also be designed through an online form. JBean Photography is an Illinois photo studio specializing in engagements, weddings, events, newborn, maternity, family, and real estate. Jana Correia has been a professional freelance photographer since 2005 and offers both studio and on-location shoots. She serves clients throughout the Chicagoland area and can travel by special request. Wedding packages include unlimited shooting hours and digital downloads of all edited photos in both color and black-and-white versions. Portrait sessions are billed by the hour. Clients can connect with Correia via the online inquiry form or through the business's social media sites. A gallery of this studio's work is also available online. Featured on Wedding Photo Love and Indie Wed, Melissa Troyan Photography is a professional photography business that serves clients throughout the greater Chicagoland metropolitan area of Illinois. Owner and photographer Melissa Troyan has been in the professional photography industry since 2003 and combines photojournalistic and portrait photography styles in her work. Melissa Troyan Photography is a member of the Professional Photographers of America and specializes in wedding and proposal photography, engagement photo shoots, and elopement coverage. The company has a social media presence on Twitter, Facebook, Pinterest, and LinkedIn. Additionally, the company can be contacted by phone or email for booking purposes. Mindy Leigh Photography is a wedding photographer based in Elgin, Illinois. They also serve Chicago, Chicago suburbs, Eastern Iowa, Wisconsin, and destination locations. Mindy Leigh’s photographers are newlyweds and as such, understand the entire process. Mindy Leigh Photography thrives on connecting with the couple before taking any pictures. This connection helps them to capture unexpected moments throughout the day and share each couple’s story authentically. Clients say that Mindy and her husband are a pleasure to work with and they create an incredible experience. Mindy Leigh offers multiple photo shoot types including engagement, bridal portraits, day after sessions, and trash the dress. Photography by Lauryn is a photography company in St. Charles, Illinois, founded in 2010 and photographing weddings since 2012. Photography by Lauryn is natural, vibrant, and authentic, striving for the comfort of their clients with the photographer and the camera. Photography by Lauryn is focused on capturing the true essence of the couple. They have been featured on My Wedding, Black Sheep Bride, DIY Weddings Magazine, L & L, How He Asked, and more. Photography by Lauryn has been seen on Every Last Detail, Sassy Chicago Weddings, and 2016 Chicago Style Weddings Magazine and Weddings. They are the Ecobride’s preferred vendor and has also been the 2017 Wedding Guide Chicago’s preferred vendor. Photos by Frost is a wedding photographer based in the North West suburbs of Chicago, Illinois, that is willing to travel around Chicago and its nearby communities. The business is run by Ryan C. Gustafson, an experienced photographer in the area. The company primarily photographs weddings but is available to shoot a variety of other special events such as basketball games and other sporting events. They also have experience with portraiture and real estate photography. Sessions are individualized to suit the client's specific wants and needs, and price quotes are determined based on the types of service the client is seeking. Ruben Ramos, who first took an interest in cameras at the age of twelve, is a published and award-winning photographer. Based in Chicago, he has over 20 years of professional experience in his field. He has previously won Chicago Professional Photographer's Event Photo and Album of the Year awards. Additionally, Rangefinder Magazine has featured his work. Stylistically, Ruben mixes photojournalism with traditional and contemporary event photography. Ruben is available for weddings, events, cooperate photography and portraits. Clients love their photographs and Ruben's friendly and fun approach. They felt at ease having their picture taken and highly recommend him to others. Tracy Whiteside Photography is a child and family photography studio that is based out of Saint Charles. They offer a wide range of services including infant, child, and teen photography, family portraits, and couples photography. Tracy Whiteside Photography is a full-service photography studio and can help with lighting, styling, and clothing choices for the scheduled session. They may be accepting new clients and encourage customers to contact them well in advance of their desired session date. Tracy Whiteside Photography can set up consultations by appointment only and can take a variety of payment options. They have received positive customer feedback for their professionalism and attention to detail.